The recent 2018 Global Digital Report from We Are Social and Hootsuite revealed that a million new social media users are "born" every day, and that more than 4 billion people around the world are using the internet. This is an incredible opportunity for hotel marketers. The 2018 CMO Survey showed that companies are spending 12 percent of their marketing budgets on social media. This percentage will accelerate in the coming years. Before they allocate budgets, it is essential that hotel marketers understand what kind of social posts work for them. A generic plan will not work. A study of current user trends will tell them where to spend their dollars best. This is where a report from Local Measure will be a big help. The company surveyed close to 300 properties across North America, Asia, and Australia between January to March in 2017. 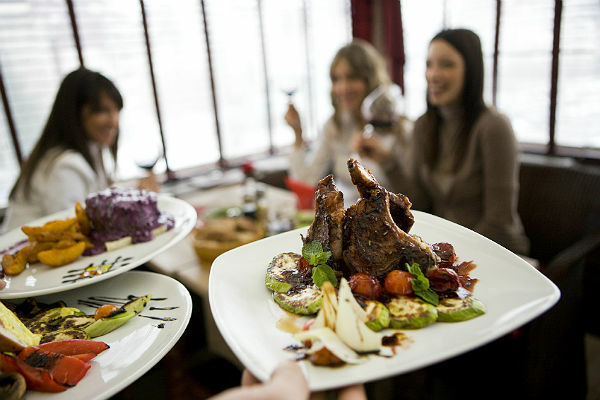 It uncovered that it is restaurants that are generating the most social media buzz for hotels today. The most posted-about features and experiences at hotels include the hotel bar, the food and drink selections, the rooms, the pool and the views from the hotel. When you look at it, these lifestyle aspects are the things that social users like to share and talk about all the time. Hotel websites still market their gyms, arrival and check-in ease, cordial staff and a comfortable stay. They are important, of course, but for guests, these are given. An insight into guests’ social media habits shows that they value shareable moments, and experiences will take precedence over reviewing standard property amenities. Hotels must focus on providing technology-enabled social experiences for the next generation of guests. Hoteliers have upped their social ad budgets to be more visible where their future clientele resides. But they must do more. Marketers need to allocate budgets for social intelligence products that offer unique, real-time information about guests. Imagine staff anticipating problems and guest needs even before they are articulated. Using big data for customer service will delight guests, which in turn will lead to positive reviews and social mentions organically. Future marketing efforts have to look at social media as a dedicated channel for communicating guest preferences and recommendations. This means that tools like videos and blogs will have to be more nonpromotional than ever, enabling a sort of reverse brand-building and brand awareness exercise. Focusing on restaurants will pay off big time since people love to share and absorb food-related posts. Social users now they want to stay informed on current events and find entertaining content for their spare time. Users are also heavily using social to research new products and buy online. Hotel marketers have to use this opportunity. User-generated social posts need to show up in these searches instead of intrusive ads. As the Local Measure report shows, satisfied guests sharing their great experiences chime in perfectly with the social trends. People want to see brands in real life with real people. This will make them choose a hotel more than anything else. It’s time to pay closer attention to the in-house food scene to initiate an organic marketing approach.